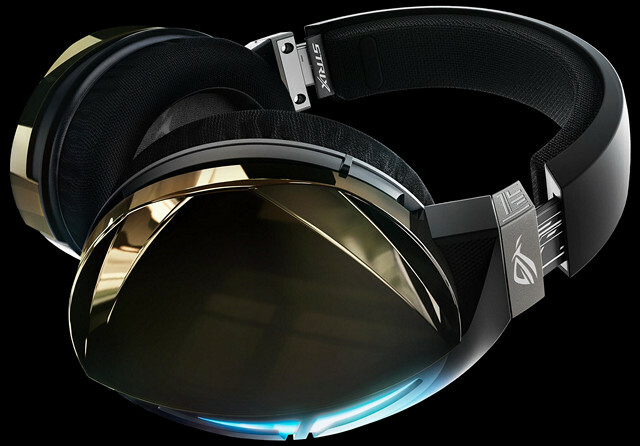 Asus has launched the ROG Strix Fusion 500, its latest gaming headset from under the ROG Strix Fusion series for gamers. According to the press release from Asus, the device is made “for pros and casual players alike”, and is the first headset to feature customizable RGB lighting that the company claims can be synchronized with headsets of fellow gamers and team members, which should make it an interesting sight at LAN parties and gaming tournaments. The device shares many features with the Strix Fusion 300, but comes with some significant hardware upgrades over its stablemate that was launched last year. First off, it has a built-in ESS Sabre 9018 digital-to-analog converter (DAC) and 9601 headphone amplifier that “support lossless playback up to 24 bits and 96kHz”. It also comes with 50mm ASUS Essence drivers that the company claims delivers detailed sound with punchy bass. It also comes with an exclusive airtight chamber design for high-fidelity gaming audio. Asus also says that the ROG Strix Fusion 500’s Bongiovi-optimized 7.1-channel audio should enable a wider soundstage and clear separation. The device also comes with intuitive lighting and volume controls, thanks to a touch panel embedded in the left ear cup. In addition, device also supports AURA Sync, the company’s proprietary RGB lighting technology that allows users to sync all Aura-enabled products via software. You can customize the lighting and effects using the software on your PC. The Strix Fusion 500 will be available for purchase in the US from this month at an MSRP of $179.99. There’s no mention of a wide availability for this headset right now.